I have used Broadband for a decade now and only just joined a broadband forum, a little lacking on my behalf perhaps. 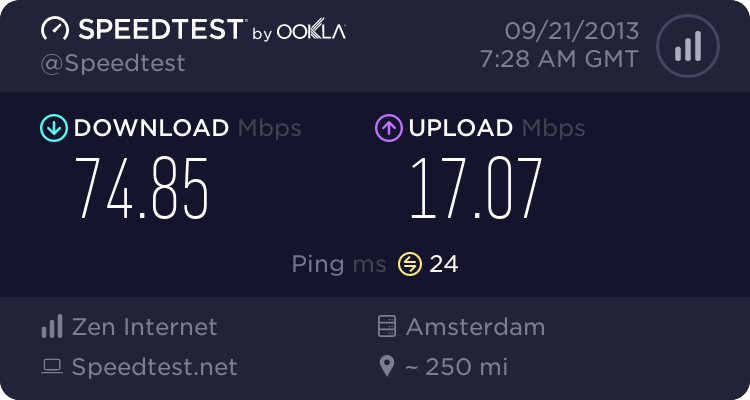 I am now gaining an interest in what happens beyond my router apart from keeping an eye on my upload and download speeds. So coming across your forum I thought I better see what some more experienced people with Broadband knew. After BT I�ve had good service, initially from Phonecoop and currently Sky. I have not used BT for several years. When I had the opportunity to leave � I did. So it may seem a little strange that my first question is for someone else You will see why he cannot post anything himself. A friend of mine moved house about ten months ago, unfortunately none of what is described below came to light until this week otherwise I would have insisted on action much sooner. He wanted a phone line so contacted BT and a line was provided. This is his first BT account as previously he was sharing a house and the phone line there was billed to another resident. It came up in conversation that he had actually been paying for broadband service even though he does not use, or need broadband, no computer, PVR or similar, in fact has only recently got a smart phone. I asked what have you done with the router then? He answered what�s that and then once I explained what a router was he said he had never had one. Apart from the obvious things like he is a wally for paying too much for a voice only service and that fact he must never check the bills. It left me wondering, would he be eligible to claim back the broadband part of the bill for the last 10 months? Is this a case of mis-selling as he did not need a broadband service, (not yet anyway) and if BT have not provided the equipment there is presumably a breach of contract as there is no means of using the service being paid for? From the BT side they would be able to see no router activation and therefore no data usage. Would this not be a little strange for a broadband account? Any thoughts on this matter would be greatly appreciated. Thanks in advance. Why didn't he check his blls? My guess he either didn't, some people trust BT to get it right. If they had signed up for BT then a router have been sent out and probably letter or two talking about broadband, so unless they also ignored a 'we tried to deliver' notice from a courier then seems odd. First thing to do is go back through the various bills and determine what they are actually paying for, rather than what they think they may be paying for. As for miss selling all depends on what was said/done during the sales process, and in this case if the descriptions are correct probably not a lot that can be done. Have to say if the person is as clueless as the posts suggest he probably has got the router somewhere or binned it not knowing what it was. Also, no solid evidence as to what exactly the person has been paying for. I would want to know exactly what the line items and prices are on the bill. I agree, Andrew. If the OP's friend accepted BT's offer of service by mistake, but had every opportunity to acquaint himself with what he was buying, he likely has no right to a remedy under contract law. Moreover, the delay in acting is relevant to the duty to mitigate loss, also it could be argued the delay in acting amounts to accepting the situation. The best thing the OP's friend can do is get hold of a router, set up the connection and enjoy it with his smartphone. If he doesn't want home broadband, he should cancel at the expiry of the minimum contract period (likely to be 12 or 18 months). Misselling is a topic that has been quite prominent in recent years, but the major misselling scandals have been over regulated financial products (PPI, card protection insurance etc.) where there are specific remedies possible via the regulatory system. There are regulations to do with unfair trading, but they are unlikely to offer any remedy to an individual on the given facts. How does he know that he has / is paying for BB, if it just 'came up in conversation'? Knowing his name, address, a/c no & phone no., you can register him on MyBT and check it. Maybe when he ordered phone, they also offered 'broad band' and he agreed thinking it was a faster phone line . Perhaps he thought BT gives out a free door-stop with every line rental contract. I did ask about the router and double check that nothing had been delivered that we was not sure what it was or an attempt had been made to deliverer and a card had been left asking for re-delivery. It seems to me that BT and 'Timothy' are equally at fault. He must have signed for the contract, but BT have failed to provide the service. In any company I have worked for if a package has come back, (i.e. the router) it is then queried. If BT have had the router back from a failed delivery, they know that the customer is not using it, therefore how can they charge for the service? Perhaps as one of those elusive 'gestures of goodwill' BT may waive half of the Broadband part of the bill up to now and then take it off at the end of the contract year. Unless like you say uses the 'smarter than he is phone' on the router when it finally arrives. they know that the customer is not using it, therefore how can they charge for the service? Many customers use the service without using the BT provided router.